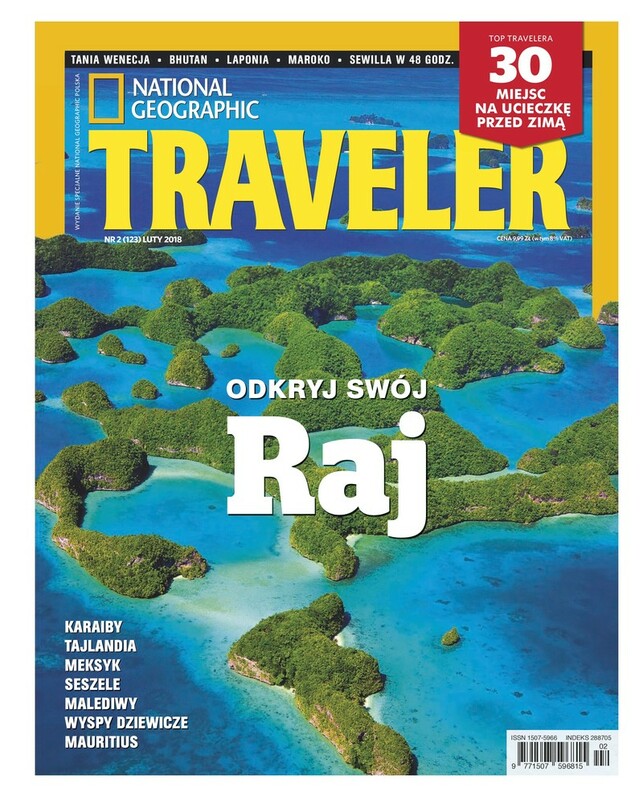 The February issue of the National Geographic Traveler Polish edition featured a travel blogger's review of Korean street foods titled "Jokbal for Wrinkles". The Polish traveler Basia Starecka who is running a food and travel blog "Nakarmiona Starecka" shares her experiences about Korean street foods in this article. "The streets of Korea never sleep at night because of many food trucks and bars. All Koreans are conversant with food and passionate about it," underlines Starecka. She introduces the Koreans' food quest that does not stop from dawn to late at night and recommends Itaewon, Yeouido Plaza, Namdaemun Gate, Myeongdong and Dongdaemun Gate as the best destinations for a Korean street food tour. She shares her story of a food travel in Korea starting from her observation of the process of making sweet and sour dak gangjeong (fried chicken) at Itaewon to the tasting of sundae (Korean sausage), which is stuffed with glass noodles, unlike Polish sausages filled with grains. She ends her story telling her experience of tasting jokbal (pigs' feet) which left her shocked for a moment after being told about its ingredients from the restaurant owner. She stares the old lady owner who cuts a huge pig's trotter into slices at a blink of an eye in wonder and introduces saeujeot (salted shrimp) served with jokbal as a sauce scented with shrimps. She also interviews Korean women at the next table who think the food is good for improving wrinkles as it is rich in collagen. Her witty and lively review is accompanied with mouth-watering photographs of Korean street foods that one can easily try in Seoul such as gimbap (dried seaweed rolls), tteokbokki (stir-fried rice cake), kimchi, sliced raw octopus, oden, and sliced raw spoon worm. Most of the foods including sliced raw octopus and spoon worm are new and exotic to foreigners that they can stimulate their sense of adventure and increase their interest in Korean food. The February issue of the National Geographic Traveler listed the Caribbean, Thailand, Mexico, Venezia, and Bhutan as top destinations to must visit under the issue theme of "Find Your Own Paradise." Along with these countries, it recommends a travel to Korea to food enthusiasts. This shows how attractive Korea is to Westerners as a tourist destination. As a Korean, the correspondent is proud that the magazine spotlights on part of the food culture of Koreans who are "conversant with food", as Starecka puts it. However, from the viewpoint of a foreigner, focus can be laid on limited kinds of Korean foods and even their reviews may generate interest in Korean food culture, they often fail in providing detailed information about tastes or ingredients. There is a need for more systematic and comprehensive media coverage that introduces various excellent Korean foods worth trying. Who would know Korean food better than Koreans? It is time to develop a systematic program that effectively introduces and promotes Korea's diverse and delicious foods other than bibimbap.